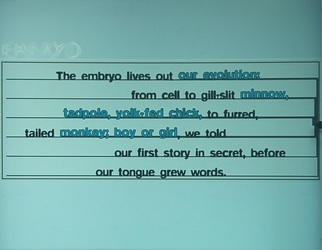 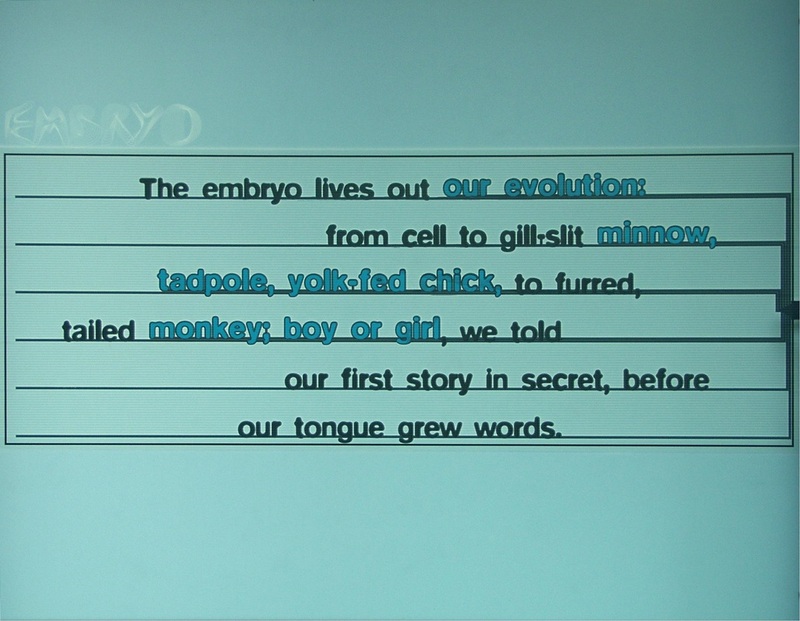 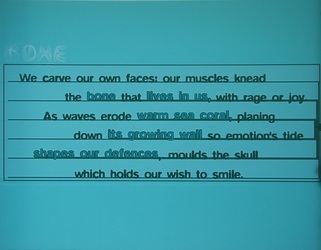 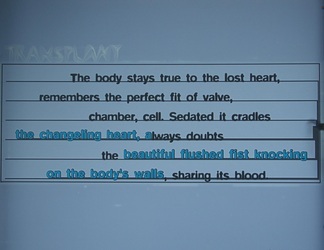 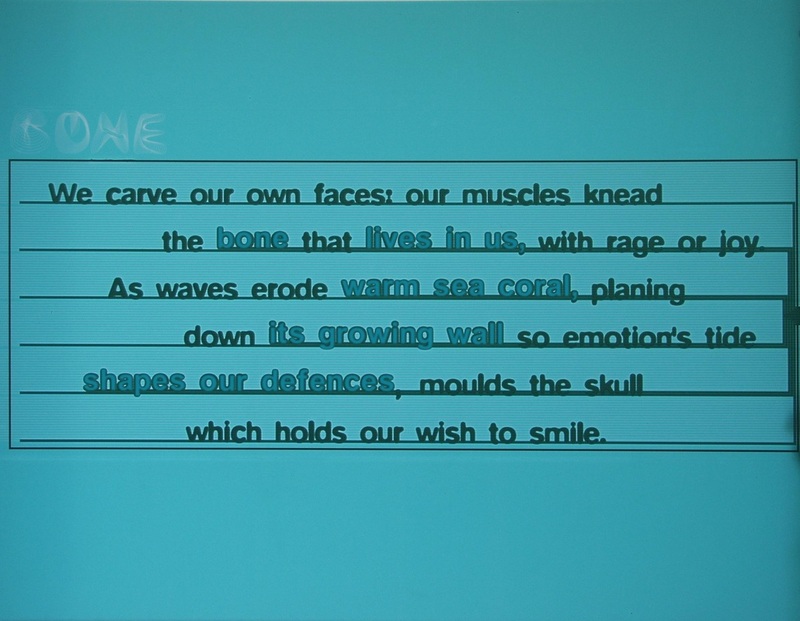 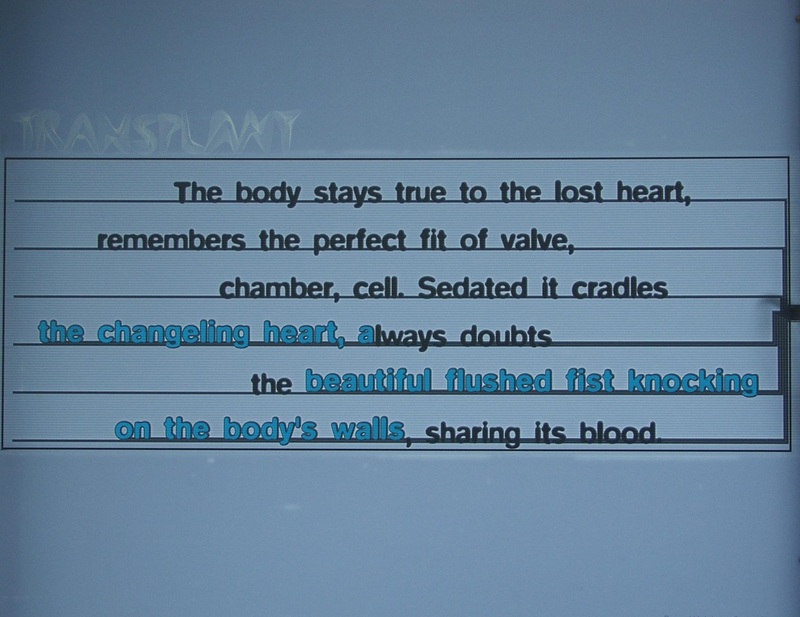 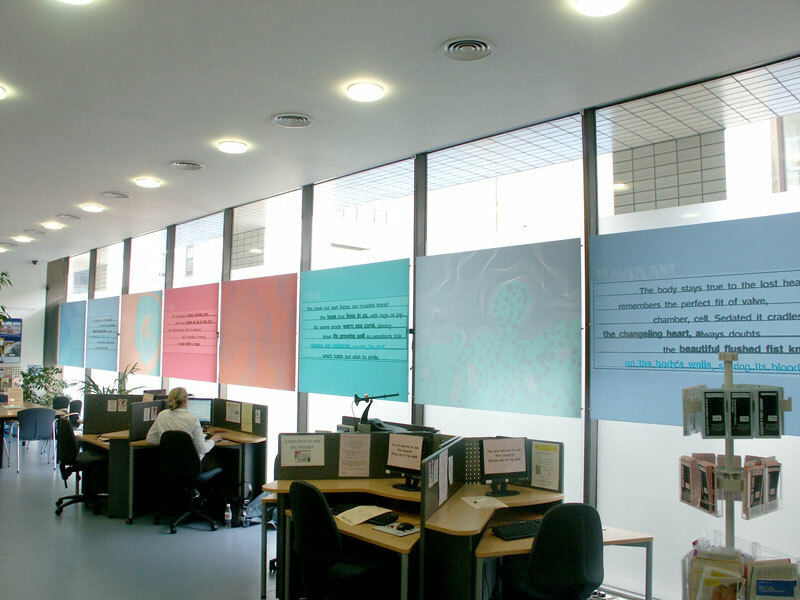 Computer-controlled illuminated poems, each containing a form I invented, the embedded haiku, lighting up in sequences celebrating aspects of anatomy. 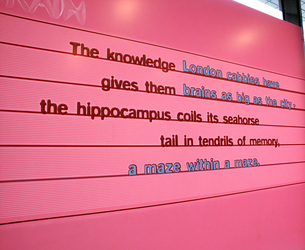 Commissioned for KIC, St Thomas', it ran for ten years, seen by thousands every year. 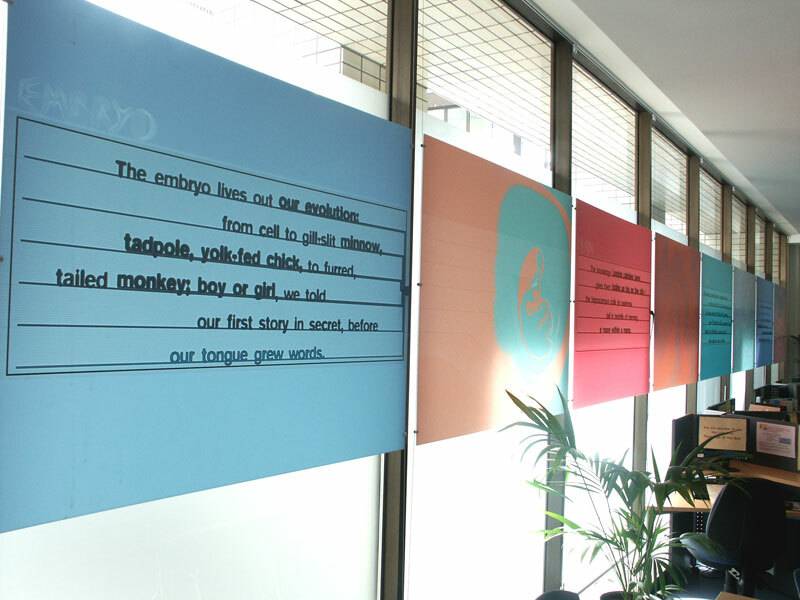 The illumination used 'elumin8', a low energy form of lighting.